Some of the most beautiful African wax print fabrics are made by Vlisco, a huge global brand, which has a significant presence in the international fashion market. 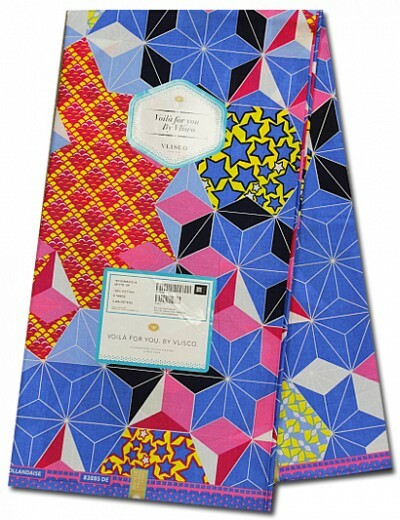 Vlisco, a premium textile brand, is primarily used for “occasion” wear. The designs are recognised for their bold colour combinations and striking designs. They are based on an understanding of the link between heritage, design, craft and colours. New designers are trained for 18 months to ensure they have mastered and embraced the original Vlisco design signature. Each new design is officially registered as a work of art. 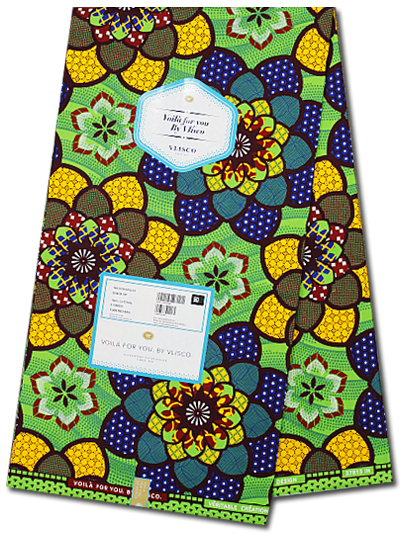 There are four Vlisco labels, including Wax Hollandais, Java, Super-wax and Voilà. Indigo is the most important dye in Vlisco’s colour portfolio when the designs are printed on to the fabrics. Vlisco’s origins date back to 1846, when Dutch businessman Pieter Fentener van Vlissingen began manufacturing batik cloth using a mechanised system. As a result, the style that’s now identified as “African print” was born. In the latter part of the 19th century, the batik fabric was a popular trade item for ships stopping in West Africa. Initially, Vlissingen launched his product in Holland and then started selling in Africa because of a high demand. Since then, the popularity of these printed fabrics has spread to such a degree that Vlisco has become an authentic part of the cultural fabric of countries such as Nigeria, Ivory Coast and Ghana. Vlisco’s success in West Africa caught the attention of London-based firm Actis Capital, which bought the company in 2010. Actis Capital invests only in developing markets and recognised the big impact that Vlisco was having in Africa. Much of the fabric is still made in Helmond, Holland, where the company has its headquarters. The company now has successful operations in Cote d’Ivoire, Togo, Ghana, Benin, the Democratic Republic of Congo and Central African Republic. It is also looking to expand to new markets in Senegal and Mali. The manufacturer prides itself on having an extensive knowledge and first-hand experience of Africa, so that when new Vlisco designs are manufactured, they are based on popular demand and knowing what the public want. Vlisco even has its own informal museum in Helmond, which houses artefacts including original sketches from the first production lines and sample books. There are also archive photographs showing Vlisco’s important role in cultural dress codes.